Monday arrived and bright and early too, as we were off the Great Wall so needed to be up early to try and get there as soon as possible. 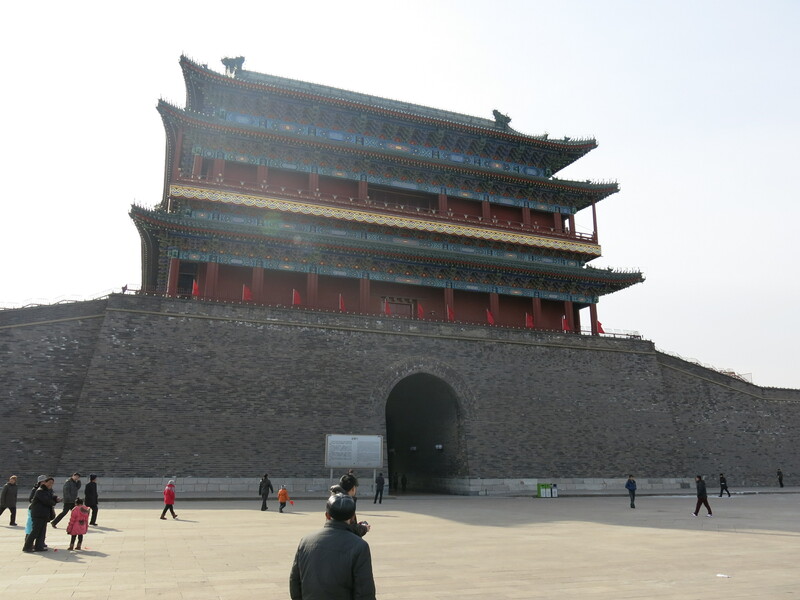 Lots of hotels and tourist companies in Beijing offer planned trips to the Wall for up to 200 yuan, but they’re not really our thing as I think going by yourself is much better as you’re less restricted and can spend as much or as little time as you want somewhere. Helpfully, a colleague told me to follow the advice of this website but with the caveat that it seemed correct, but he used it a couple of years ago the train times could be out of date by now. 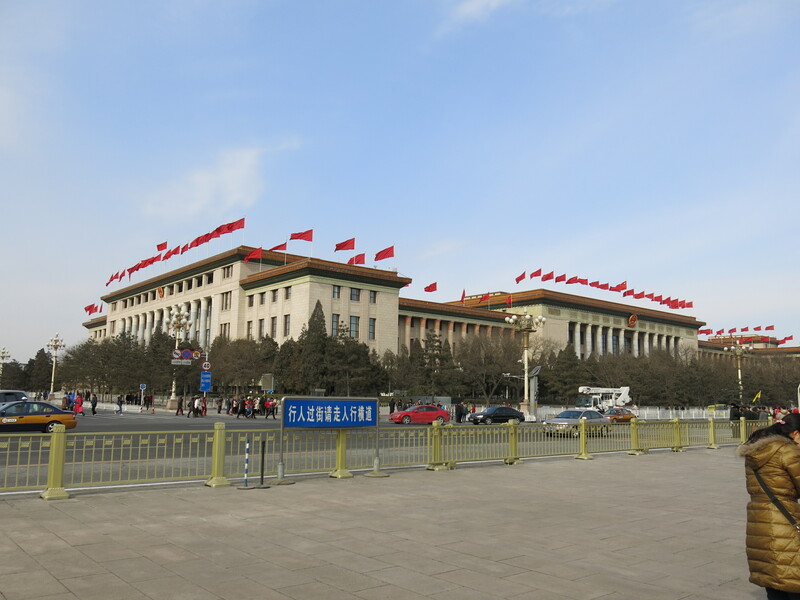 Thinking it wise to check, we asked in our hotel and the kind lady advised even that we needn’t go to Beijing North station as the website said, but instead from Beijing Train Station itself. She didn’t know when the train left. Thankful for the up-to-date information, we headed at quarter to eight to Beijing Train Station (you can probably tell where this is headed), only to be told “hah! 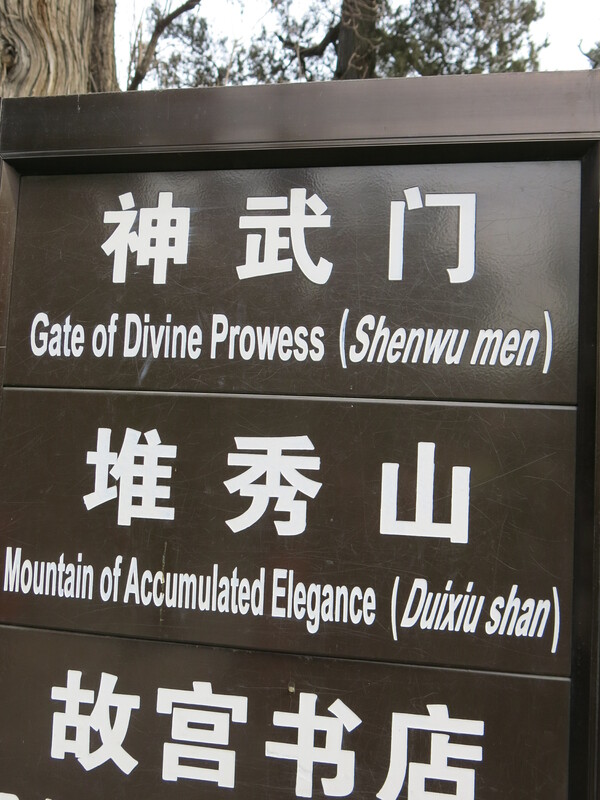 don’t be ridiculous, you can’t get to the Great Wall from here! 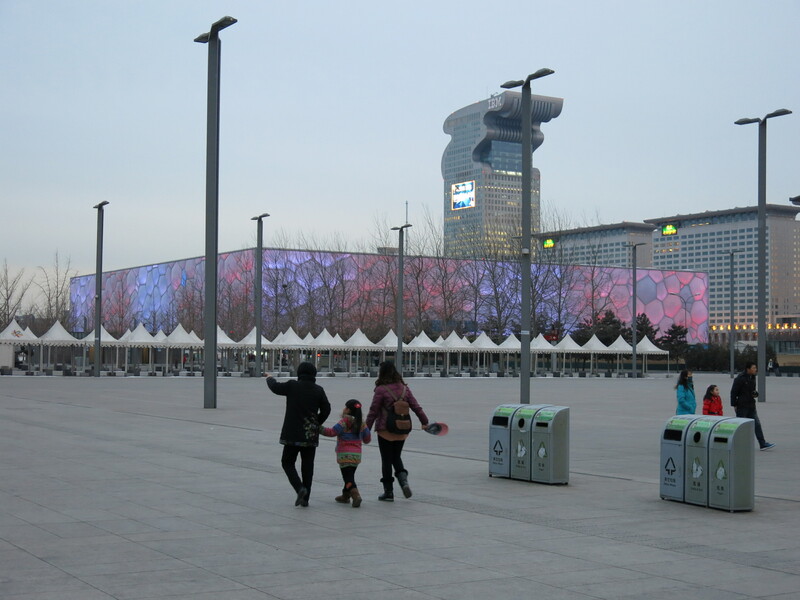 you need Beijing North station!” [their English was surprisingly advanced in a city where not much was spoken at all]. In a rage of fury, we headed back for the metro to head now half an hour away to the station we’d originally thought of and in fear of missing the train. 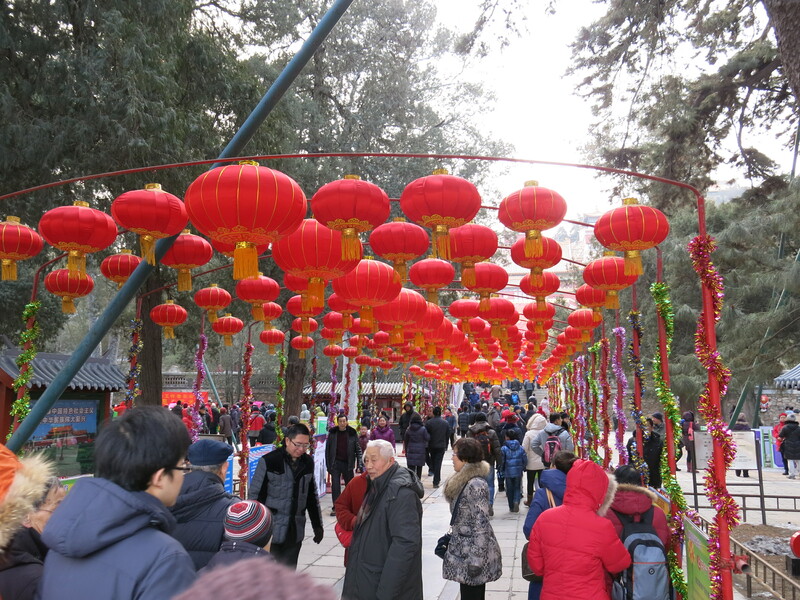 Having arrived at Beijing North, and directed from the subterranean ticket office to the overground one, we were told that we had in fact just missed the train, but we were welcome to wait for the next one; some one hour and fifty minutes later. Needless to say we were not happy bunnies. I don’t think either of us do the “forgive and forget” thing that well, and we spent the day cursing the dozy bint from the hotel and giving her evils every time we saw her in the hotel afterwards. 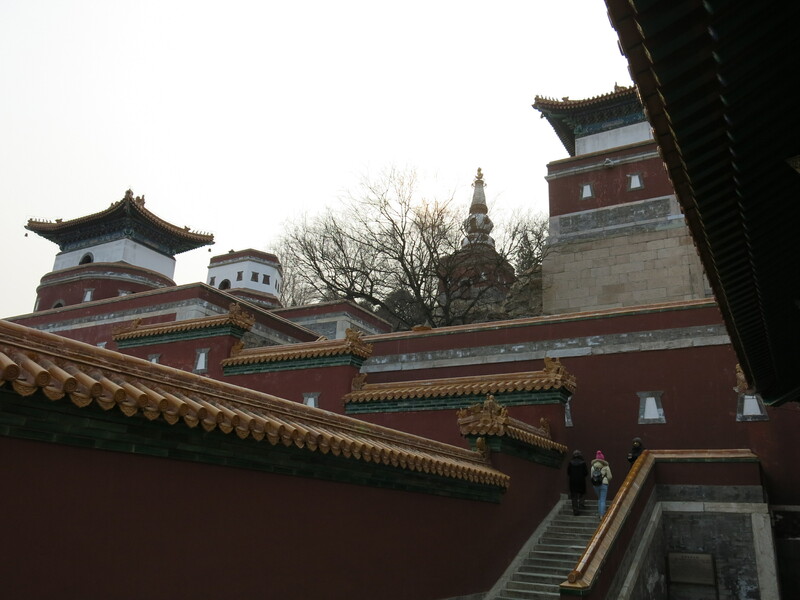 We didn’t really wish to just sit around and waste 2 hours when we had other things we wanted to see, so we decided to flip our remaining plans and head to the Emperors’ Summer Palace instead, as now in the north we were over that side of the city. 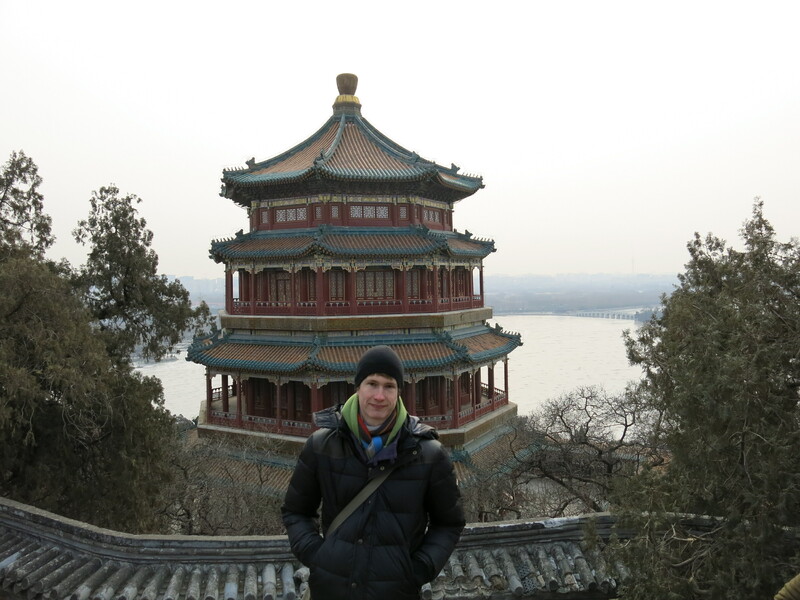 The Summer Palace was really beautiful. 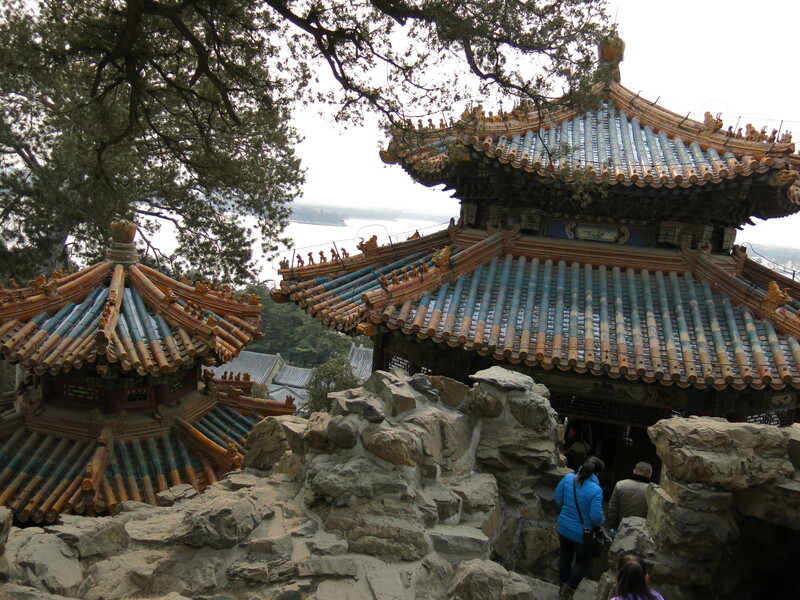 In days of yore, the Emperors used to head out to there in the summer when Beijing becomes an oven (though it also seemed a bit warmer there now in the winter when it is a freezer), as it sits upon the top of Longevity hill and overlooks the huge Kunming lake. 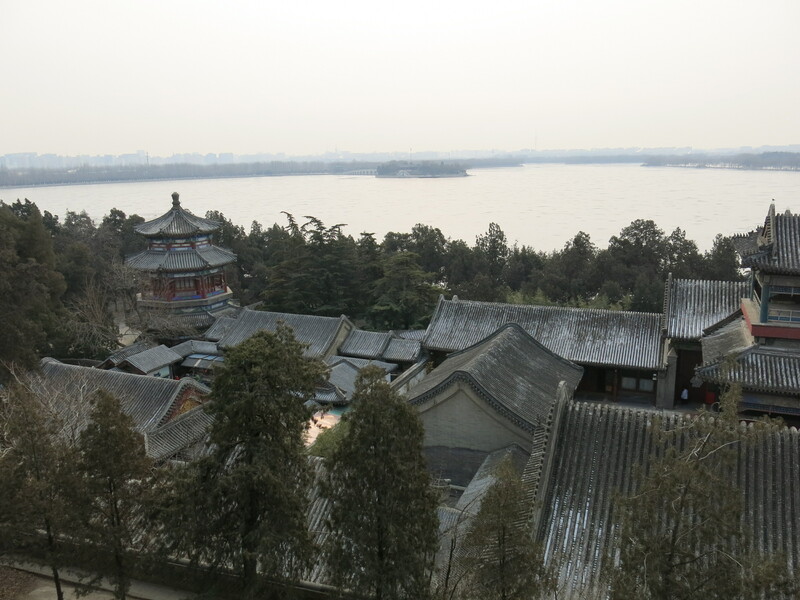 It generally seemed a nicer place to hang out, and though the living area was much smaller than the Forbidden City, the environment seemed a much better one in which to live (though maybe in the 21st century that just meant there was less smog). Parts of it seemed literally built into the rock face. 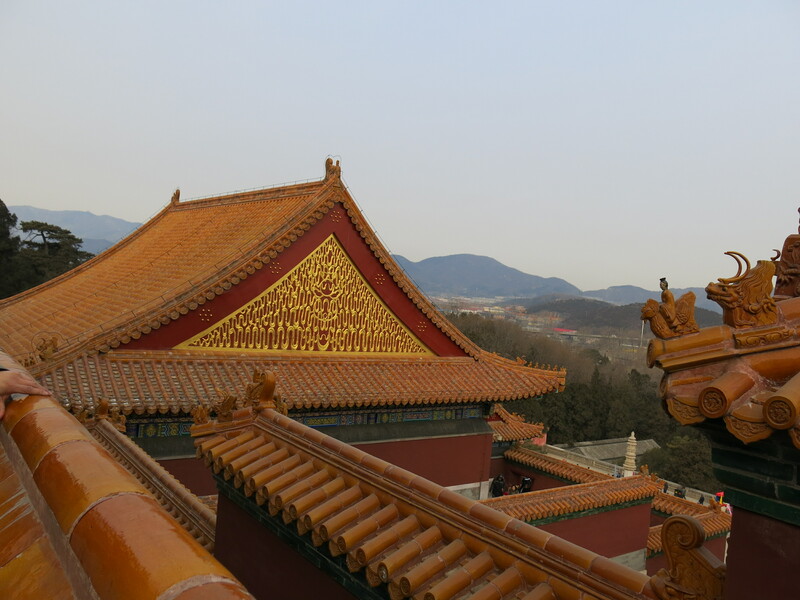 Sitting atop the highest point of the hill was the nicely named Tower of Buddhist Incense, the focal point of the view of the Palace from the lake. We didn’t get round the other side of the lake to see it ourselves from there, but there are some nice pictures on Google. 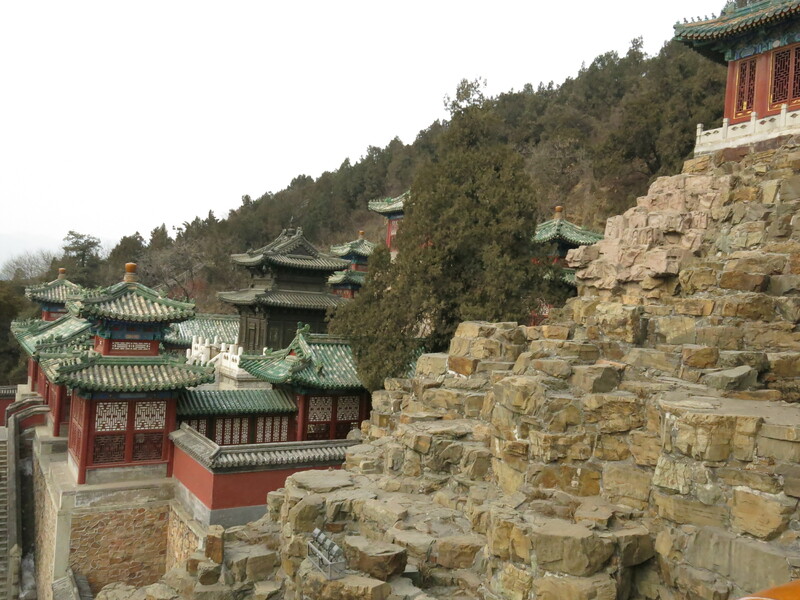 Although it was as bare now as the Forbidden City is, I got a much better feel for what it would have been like to live there from the little paths and steps round the rocks, though the Emperors must have been fit (or had very fit eunuchs to carry him around) as some of the routes were steep! 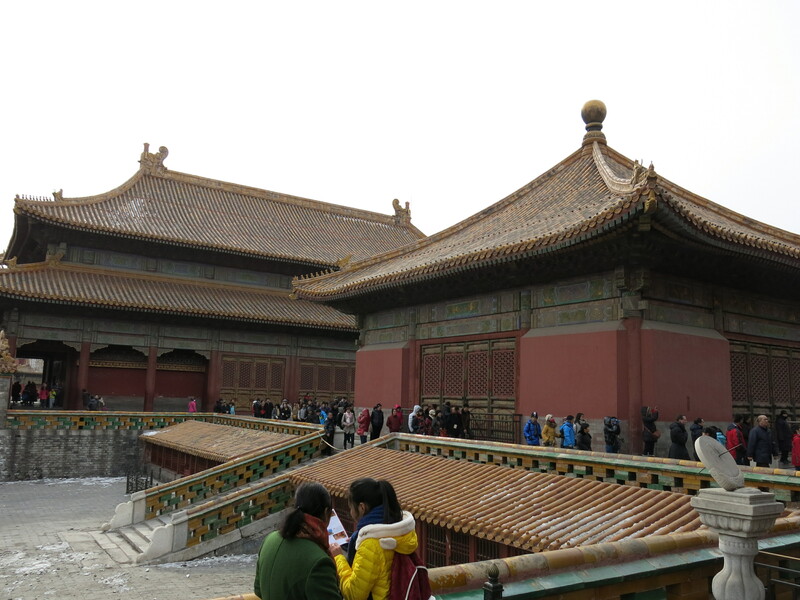 It also didn’t seem to be as well maintained as the Forbidden City had been, which was a shame. 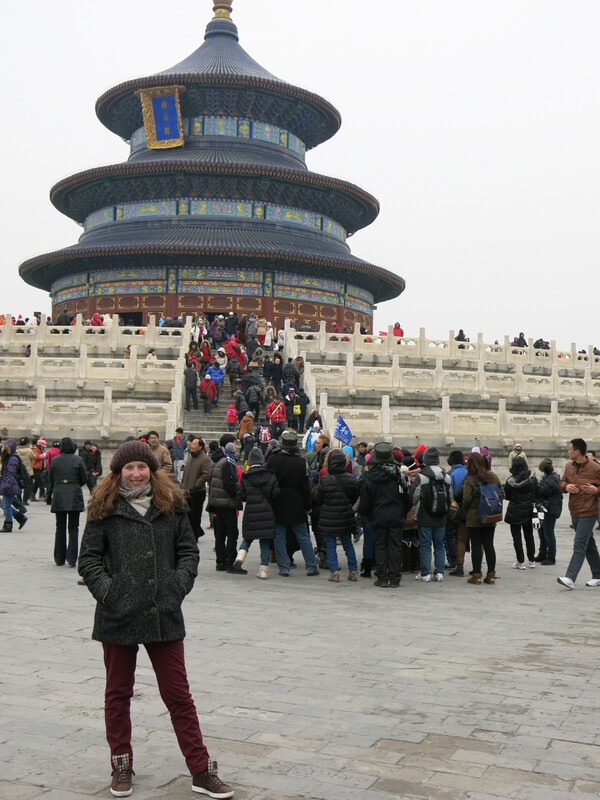 After some noodles for lunch, we decided to move on from the Summer Palace and head to the opposite side of the city to the Temple of Heaven. From almost the most northwestern point of the metro map to a station in the south took about 40 minutes, and gave us a chance to thoroughly warm up, and we’d almost thawed out completely by the time we arrived and had to head into the cold again. 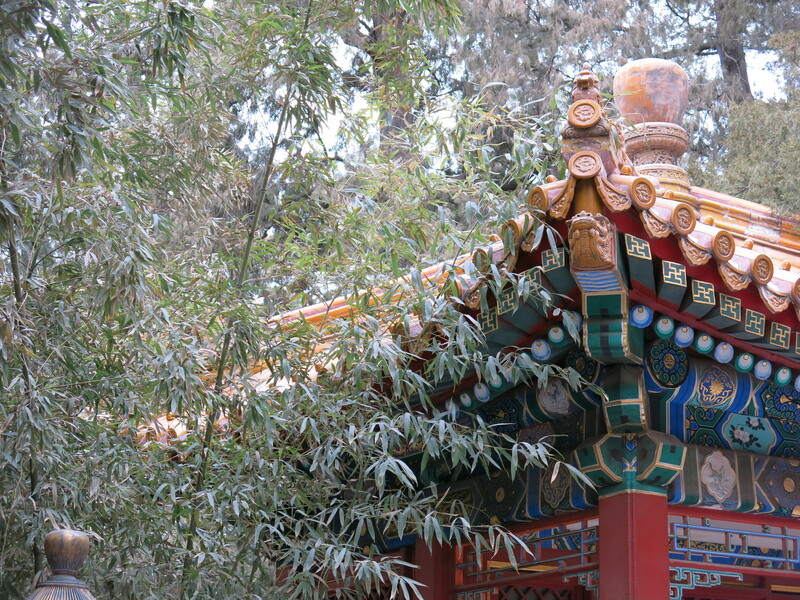 There’s not really much to say about the Temple of Heaven; it was beautiful to look at in its own little courtyard, and was surrounded by a park which wasn’t too amazing. 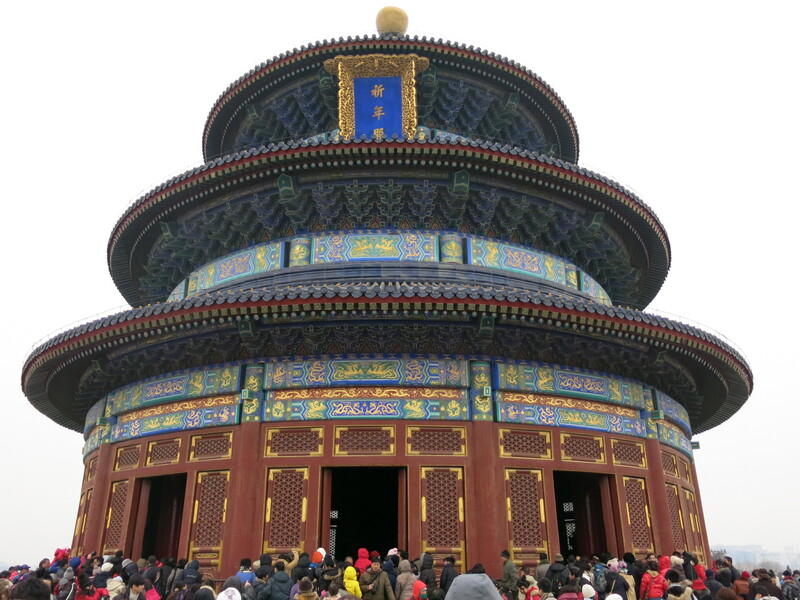 Walking up the steps, trying to get a look inside was like the scrums in getting to the front of the lunch queue at school: there was a distinct selfishness and thoughtlessness in trying to get a view of anything in China, which is also true in Hong Kong. The mindset of “as long as I’m alright, sod the rest of you” seems to pervade, and people were barging women, young kids and old men out of the way just so they could get a view of whatever might be inside themselves. 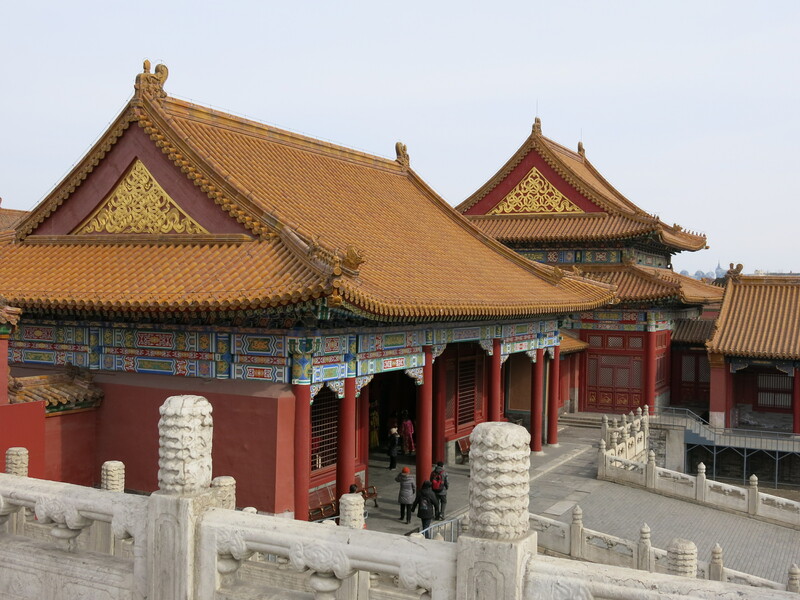 It was particularly true also at the Forbidden City in trying to get a look inside the buildings. Would it really be that difficult just to have a line if people wanted to look inside? We returned to the hotel for a quick lie down and to glare at the woman who had misinformed us the previous night: sadly she wasn’t on duty. In the evening, we were eager to try some more Chinese food (at the Olympic Park, the only place we could find which was open was the golden arches), and settled on some hotpot. Unlike British hotpot, a bubbling urn of broth is brought to your table into which you dip whatsoever you wish (or more likely whatever comes to your table after you’ve bungled through an order pointing at pictures), wait for it to boil then try and take it from the urn to your bowl without dropping it all over the table. Basically sitting in front of a boiling pot on the stove and picking out bits when they’re done. It was much more appetising than I’ve made it sound, and after a long day in the cold also very warming and well received. Tomorrow we would rise again early for our second attempt at making it to the Great Wall. 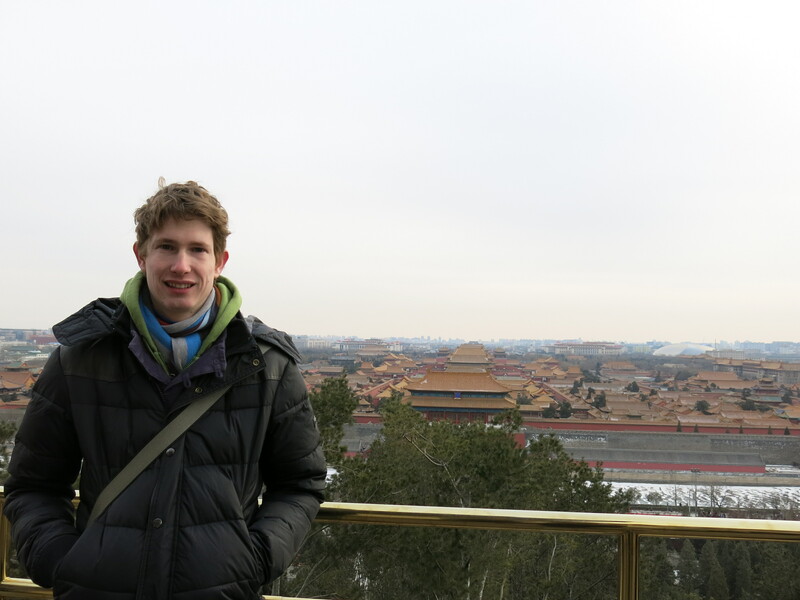 Walking around the Forbidden City took a bit longer than expected, and by the time we left it was about 4 o’clock. 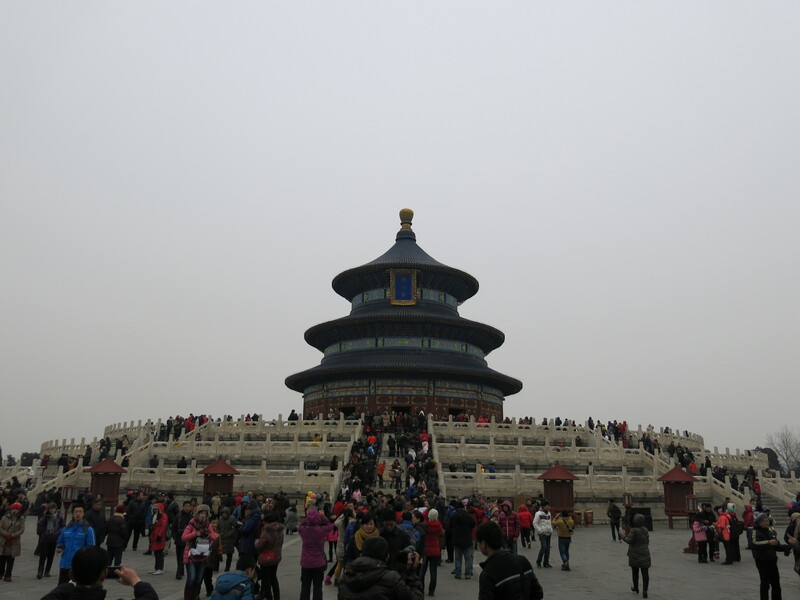 Originally we’d planned to visit the Temple of Heaven that afternoon, but it closed at 5 and we weren’t sure if we could make it or not. 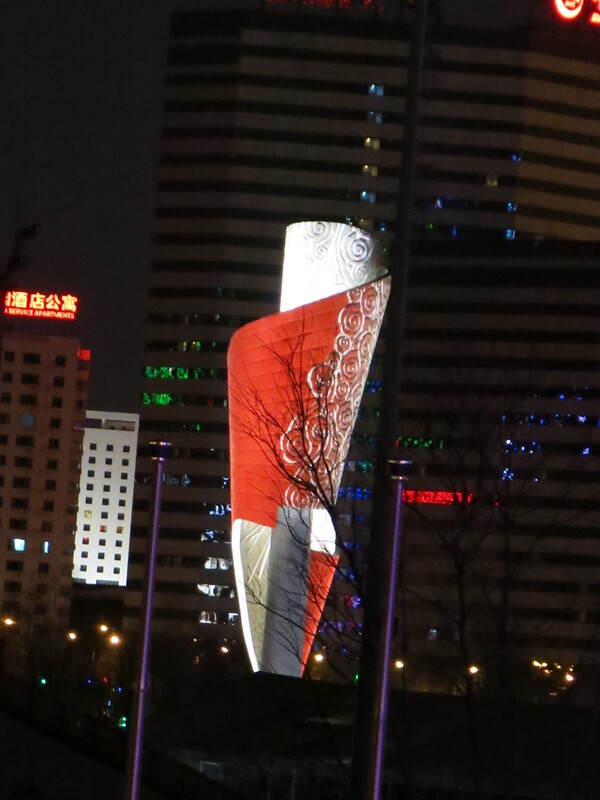 After a quick change of plan, we decided instead to head up to the Olympic village in the north of the city, figuring it would be open much later. 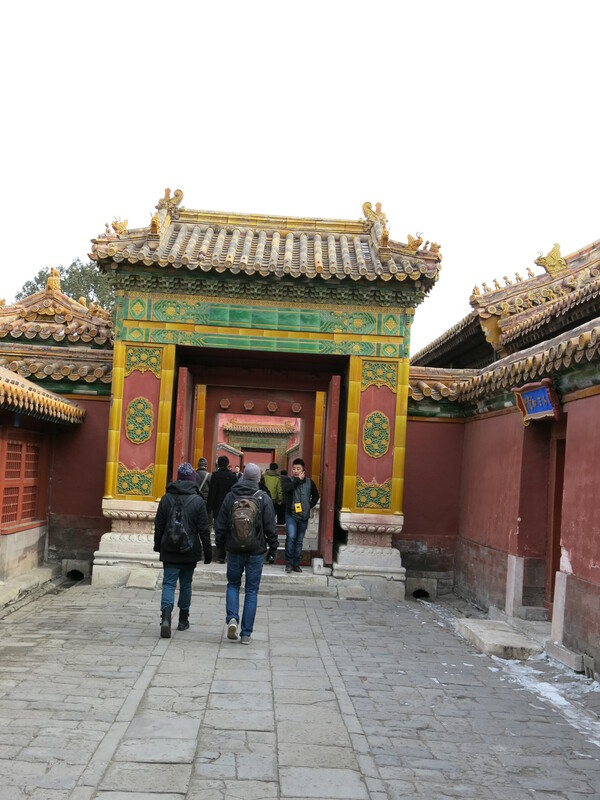 After a long walk round the outside of the exterior wall of the Forbidden City to the nearest metro station, we enjoyed for the first time the merits of the Beijing underground. It seemed very security conscious, as you have to send your bag through another x-ray machine every time you enter the station! At a cheap flat-rate 2 yuan per ticket (20p), it was one of the cheapest metros I’ve experienced (I think Mexico City’s was about 35p in 2010), but it was finally warm again and we could sit down again having been on our feet all day. One of the cool aspects of the Beijing tube was that there were TV screens in the tunnel that play adverts at the same speed as the train so it appears as though you’re watching in real time. Exiting the station, the Olympic Park was immediately in front of us, with both the National Stadium and the aquatics centre dominating the view. 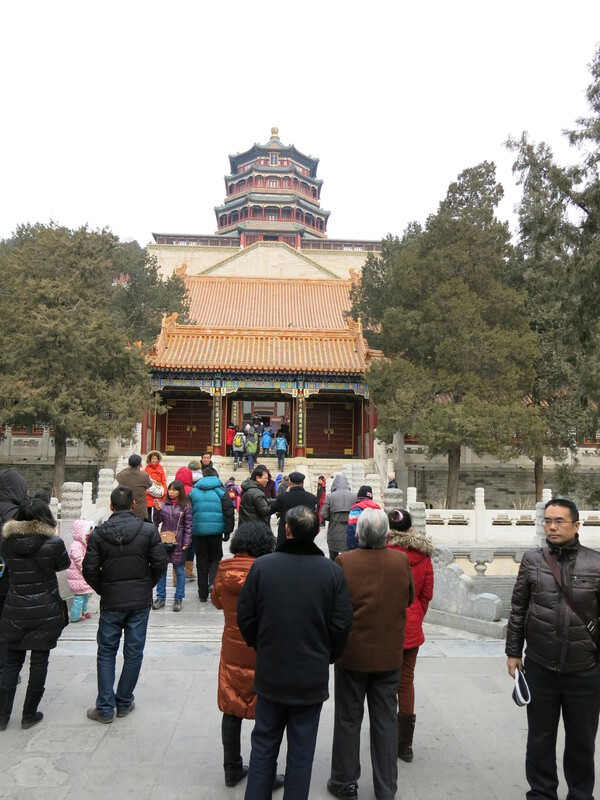 After another security check, we had free roam of the place; there were more Chinese tourists there than I expected, and a few people trying to sell tat to everybody, but lots of wide open roads and walkways. I haven’t been to the London Olympic Park so can’t compare the two just yet, but from Google Maps (the trusty arbiter of vision) London seems to have more greenery. 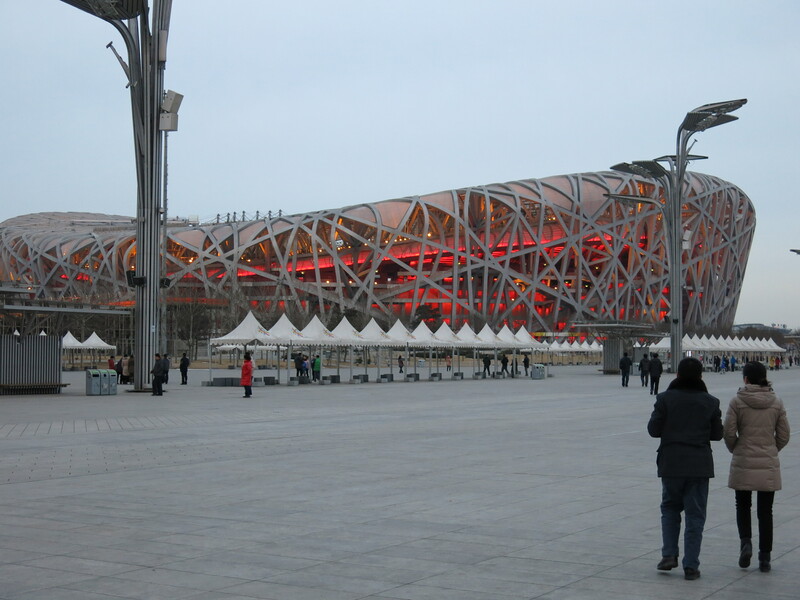 The main boulevard bisects the two main stadia, and we wandered down taking photos thinking about having something to eat as we hadn’t eaten since breakfast a long time before. 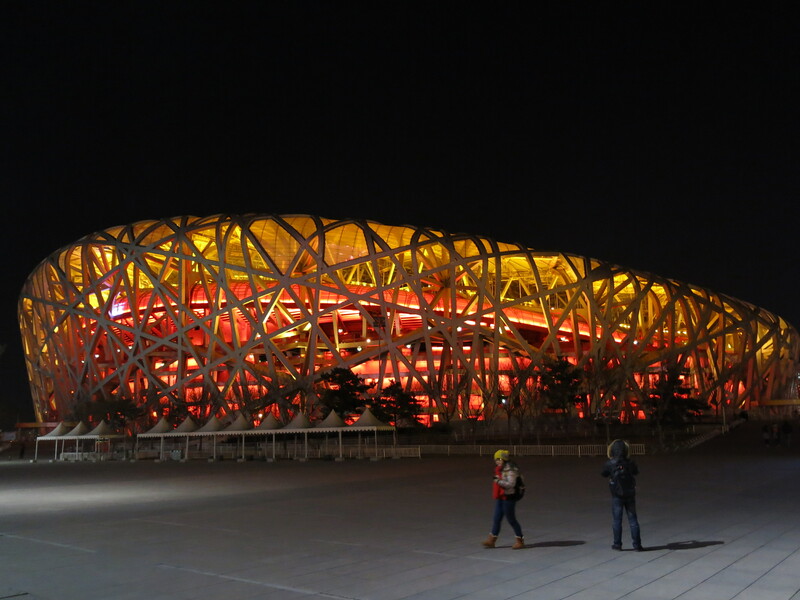 After dinner, we came out again and the sun had set, so we could see the stadia in their nighttime glory. At the opposite end of the park to the station was a colourful sculpture which was apparently part of the international broadcasting part where Sue Barker must have sat. 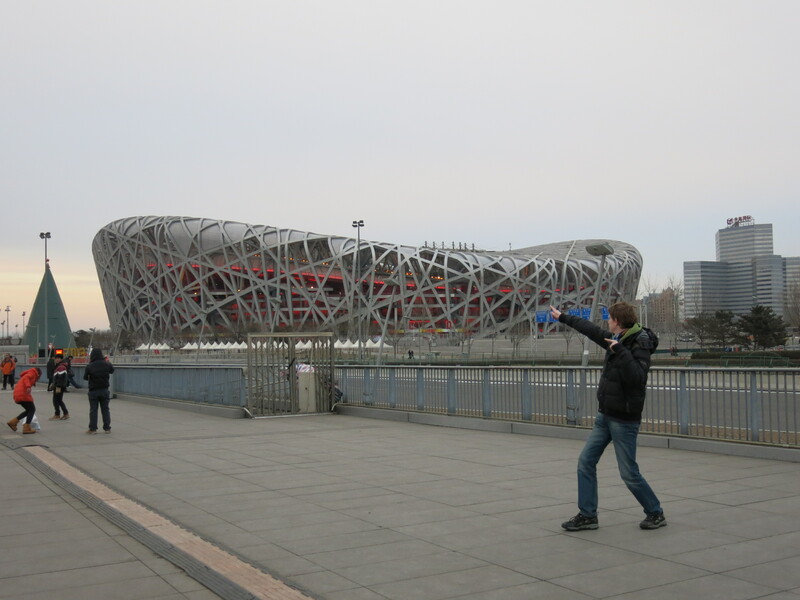 Between that and the Birds’ Nest was the Olympic flame (now sadly extinguished). Having warmed up a bit during dinner, we found that once the sun had set it became even colder, so we took a few more photos and decided to head back to the hotel for a well earned rest. 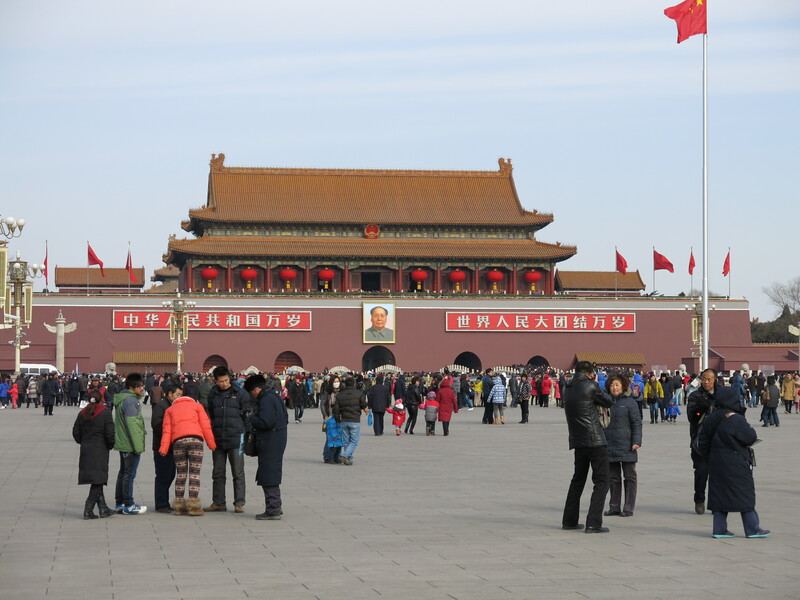 Passing under Mao’s portrait through Tiananmen you enter the Forbidden City, the home of the Emperors of China for almost 500 years. 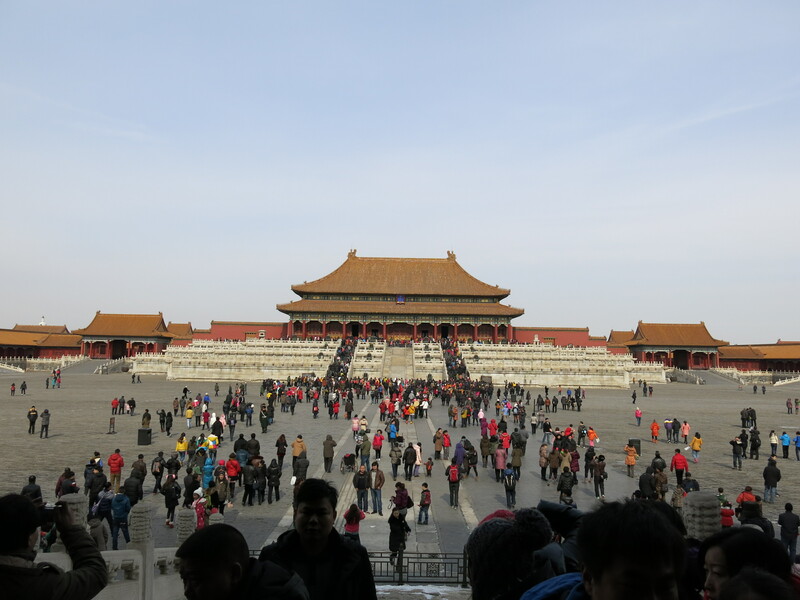 By western standards, the entry price of 40 yuan (about £4) was a bargain, as you could spend all day walking around exploring the different areas of the Emperors’ palace. The use of the word City is appropriate as it was enormous! What could be appreciated, however, was the sheer scale of the place. Different Emperors seemed to prefer living in different parts of the city, and all through the different parts, were signs telling how one favoured this place over another, while their eunuchs lived just round the corner. I suppose when the oldest buildings were built in the 1400s, you have a lot of choice! I really enjoyed walking around it, and though after a while it did start to get a bit samey (we were getting cold and hungry by that point anyway) it was definitely very interesting and thoroughly recommended. 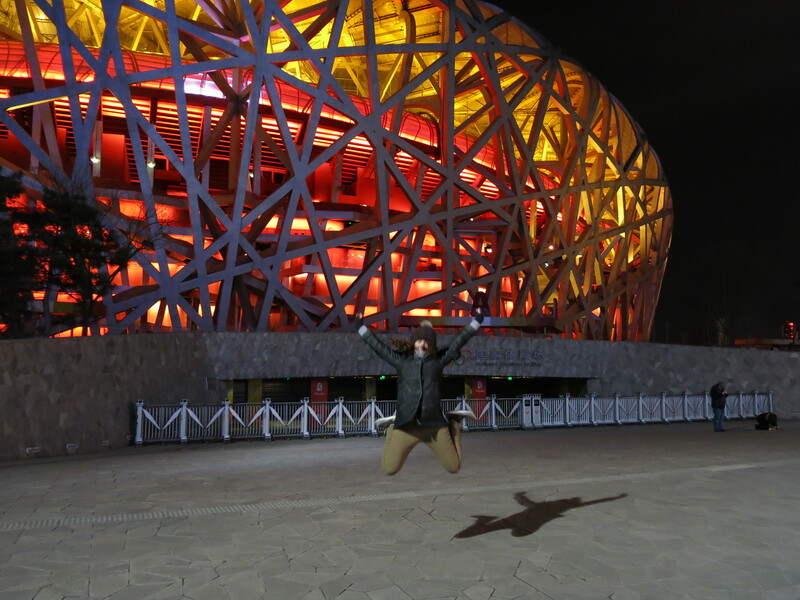 So it’s currently the Chinese New Year holiday, and, given 4 days off to celebrate, Helen and I thought we would wind our way up to Beijing to see in the New Year in style in the capital. 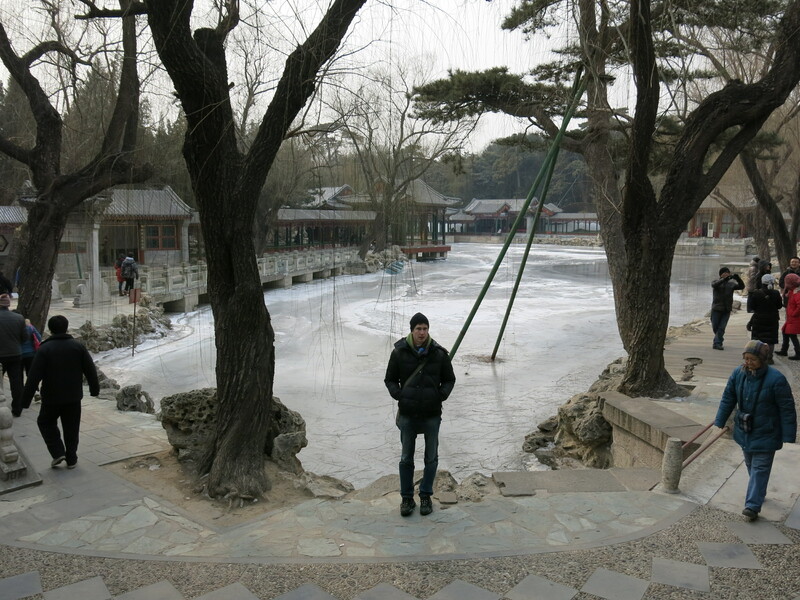 We’d been paying close attention to the weather forecasts for the last few weeks, as though HK is a toasty 15-20 degrees, Beijing had been bottoming out at a chilly -10, far colder even than we had suitable clothes for. Despite shopping for thermals, coats and other cold weather gear, the moment we stepped out of the airport at half midnight on Saturday night and knew we had to wait for a taxi (it turned out for up to about 45 minutes), we were dreading that even then we wouldn’t have brought enough clothes! The taxi driver obviously wasn’t too keen to have a couple of westerners in his car for longer than absolutely necessary, as he turfed us out in the street suppsoedly near our hotel, gesturing that this was the exact address on the map, it’s up to you to actually find your hotel from here. After finding a different hotel to ask for directions, they pointed us up in the opposite direction and we eventually stumbled upon it at gone 2 in the morning, ready to jump straight into bed. Our hotel was on a road a couple of minutes down from Tiananmen Square, and our plan for Sunday was to head there before going on to the Forbidden City. We knew the vague direction to head in from the taxi ride the previous night, but the roads around the square are massive and only seemed to be traversed by subways. 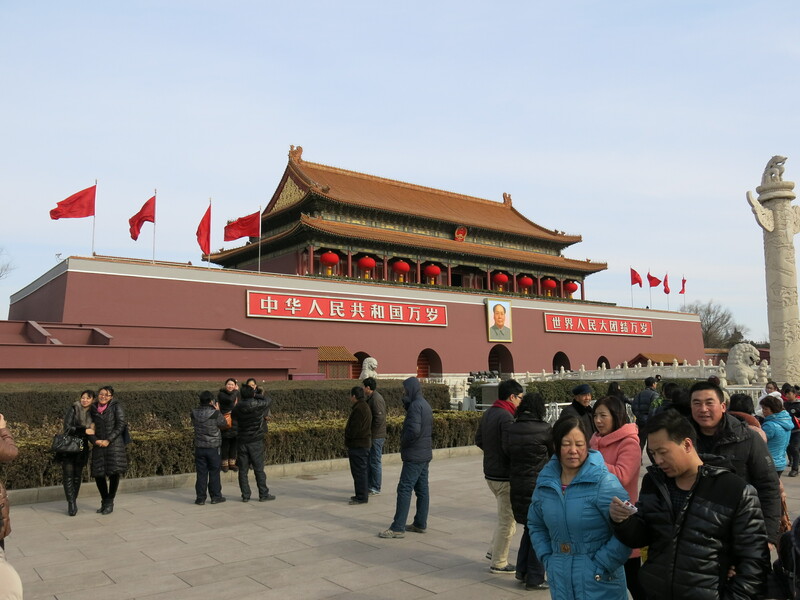 After several ups and downs, and a security check, we made it into Tiananmen Square without really knowing it until we’d passed the building that turned out to be Mao’s mausoleum. You can tell we did lots of research! 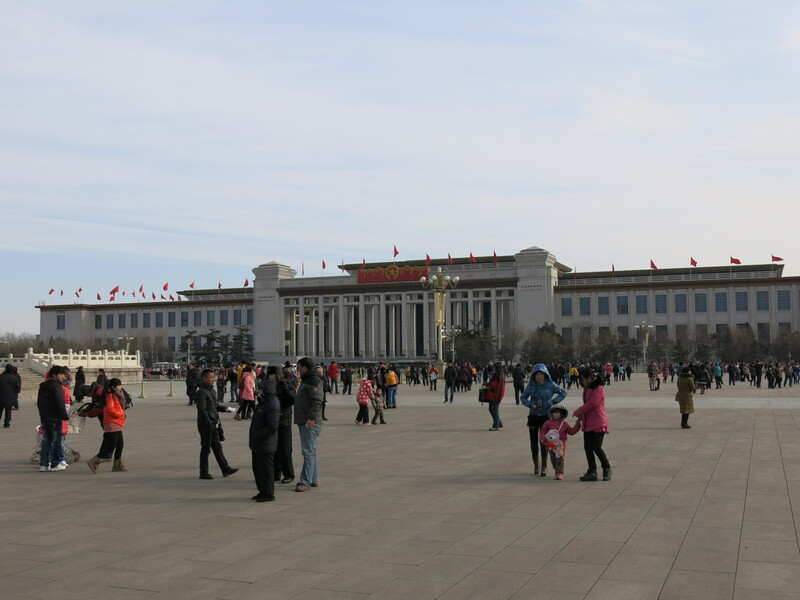 The square itself was quite impressive: along one edge is the Great Hall of the People where the Chinese parliament meet; along the opposite edge is the National Museum of China; at one end is the large Qianmen gate (men in Chinese means gate); Mao’s mausoleum is bang in the middle, with the focal point obviously being Tiananmen with the portrait of Mao itself. Having only obviously seen the gate in pictures, it was a very strange feeling and quite surreal seeing the gate for real, as obviously there is a lot of history associated with it. 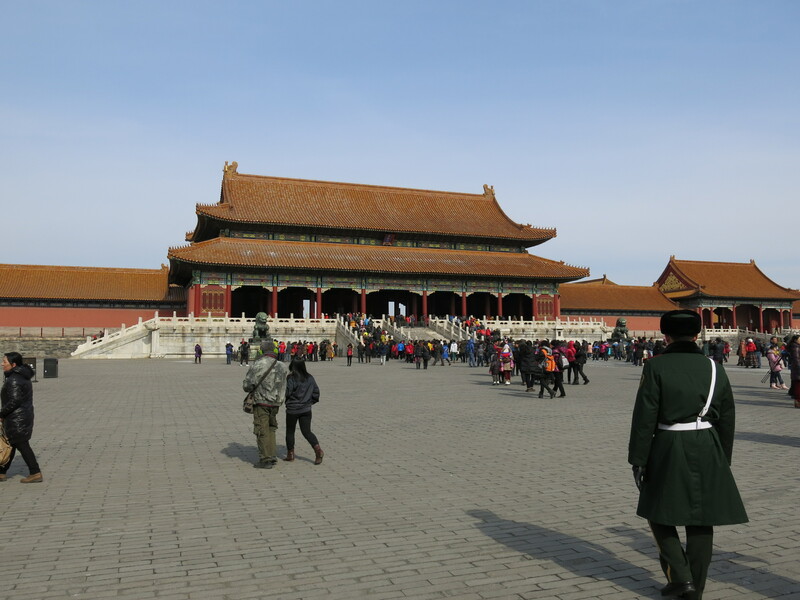 We’d been warned that the secret police weren’t too keen on Westerners taking photos of the gate because of what happened there, but we saw everyone else was and we didn’t have any trouble when we did. We were only really restricted by the biting cold wind that was whipping across the square which meant we had to take quick photos before hiding our hands back into pockets, which turned into a common theme of the trip! Eager not to stand around in the cold needlessly, after crossing under another subway, made our way through Tiananmen under Mao, through towards the Forbidden City.